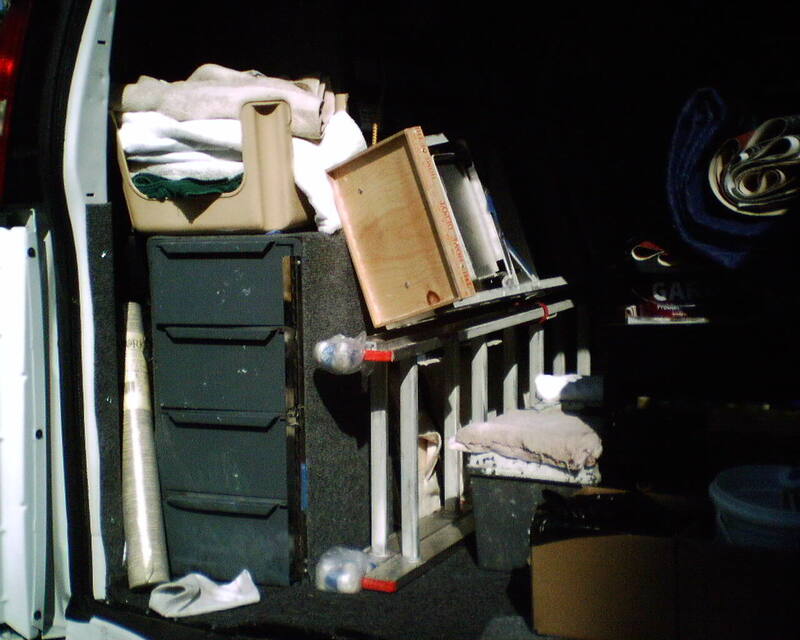 Ever Wonder What’s In the Back of the Wallpaper Lady’s Van? It’s like a traveling hardware store! 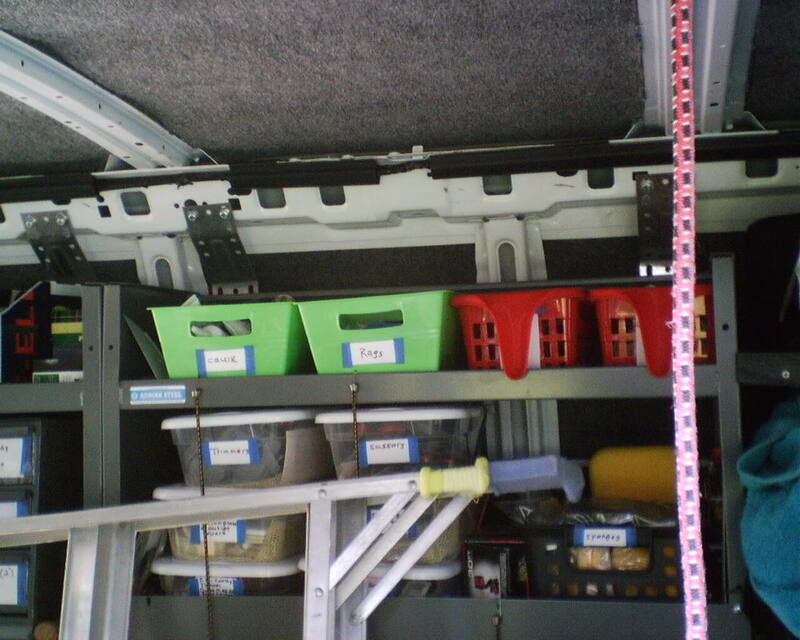 But everything I use on a regular basis is easily accessible from the rear (first two photos) or side (third photo) doors. 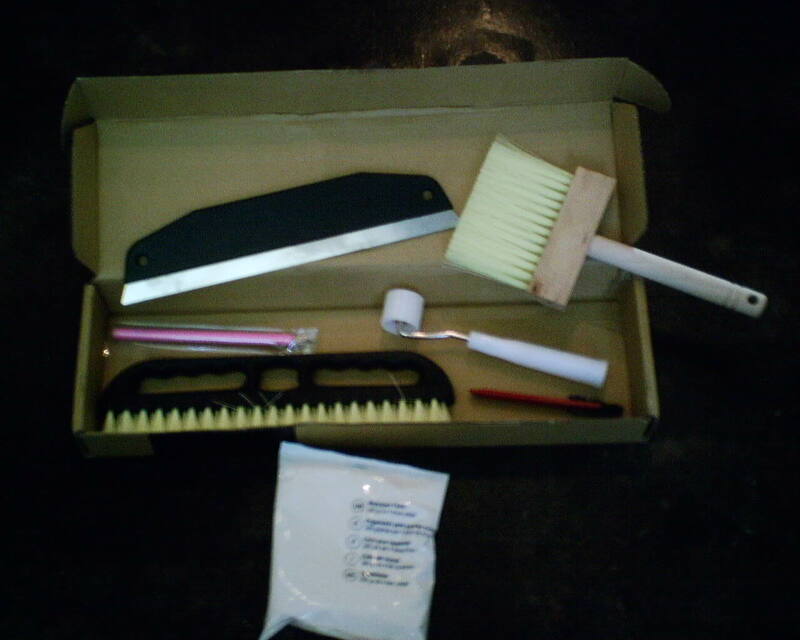 Once you step inside (remaining photos), there is a whole lot more tools and equipment! I got this van from Dave Cory Motors (highly recommended!) in Houston in April. 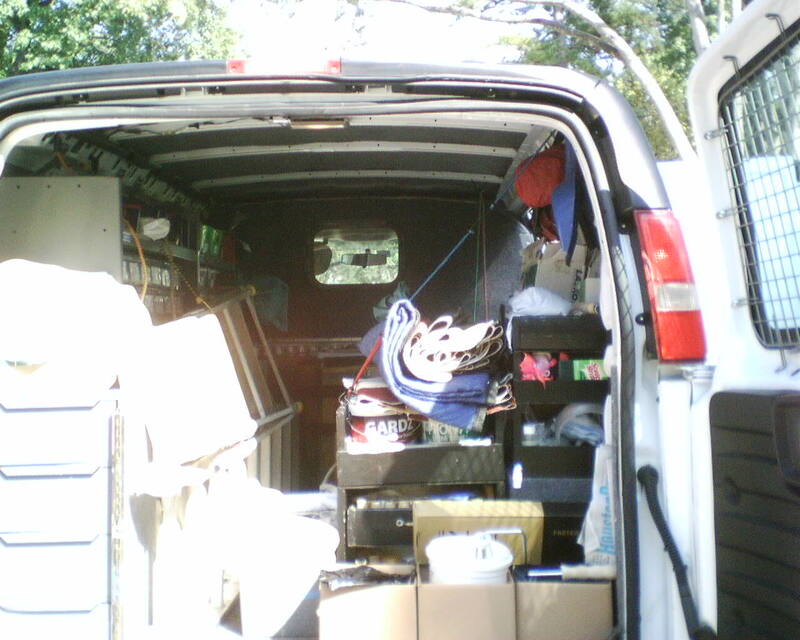 It is larger than my previous three Chevy Astro Vans, and I am enjoying the extra room. 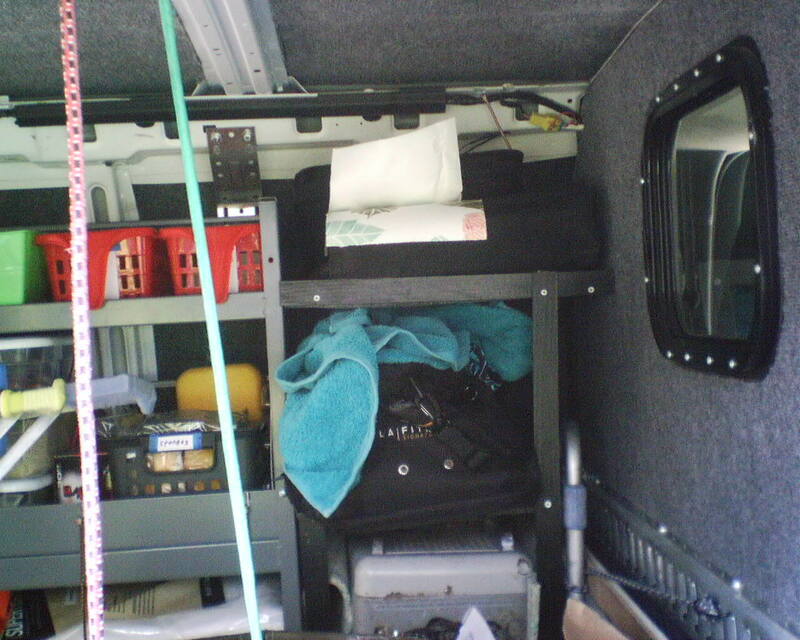 I put carpeting on all the walls, and also padding and carpeting on the floor, cab and cargo area. I added a lip to prevent my 50lb buckets of paste from sliding out the side door, and built a drawer unit and a shelf unit for specific items. I had custom shelving installed on one side. Plus gym bag, and the satchels I bring when I consult with clients. 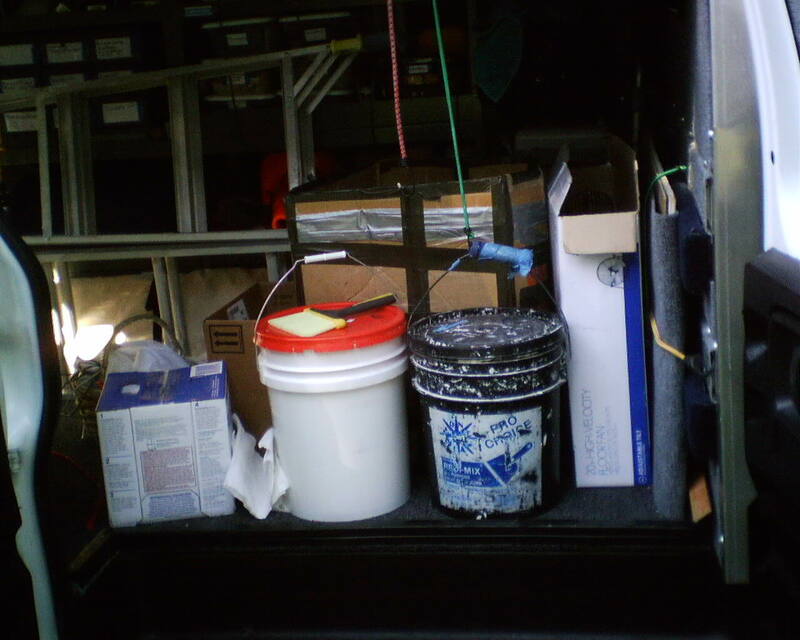 Because the guys tend to toss their tools into an empty 5-gallon bucket, and then throw all their equipment willy-nilly into the back of their van – or even a pick-up truck, open to the rain, for Pete’s sake! Berlin Wall Graffiti Wallpaper Today! 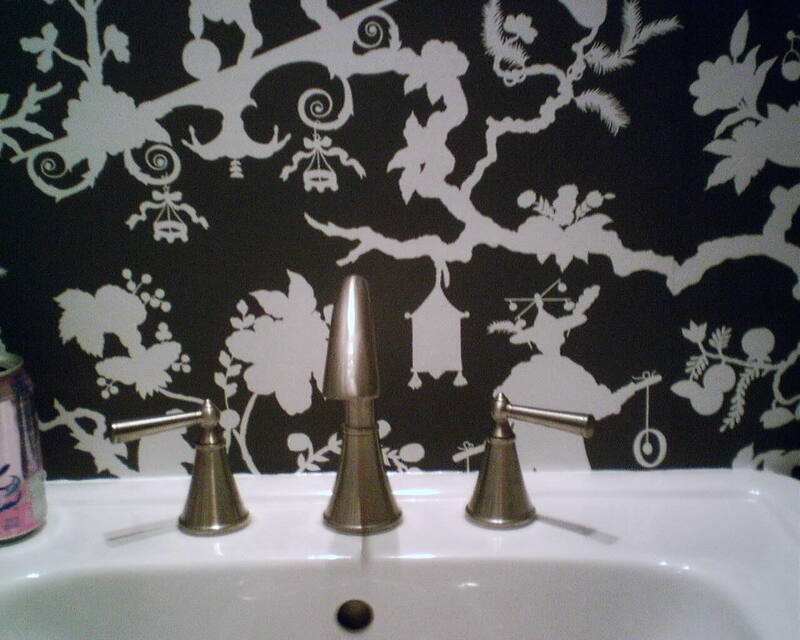 Wow – isn’t this a cool wallpaper! 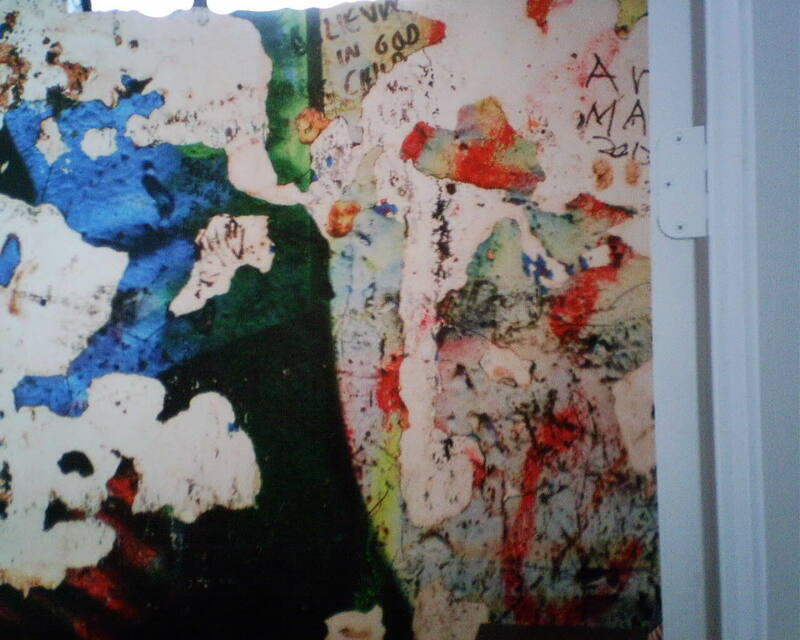 This is a photograph of a section of the Berlin Wall, complete with graffiti. I hung this in a home office in a brand new, contemporary style home in Oak Forest, in Houston, and, boy – in a house with all white walls, it sure energizes the space! With a custom-made product, you can’t just go and order an extra piece that is 5″ wide. The pattern won’t match, the color will be off, and there will be a delay and possible extra expense in getting that last strip up. 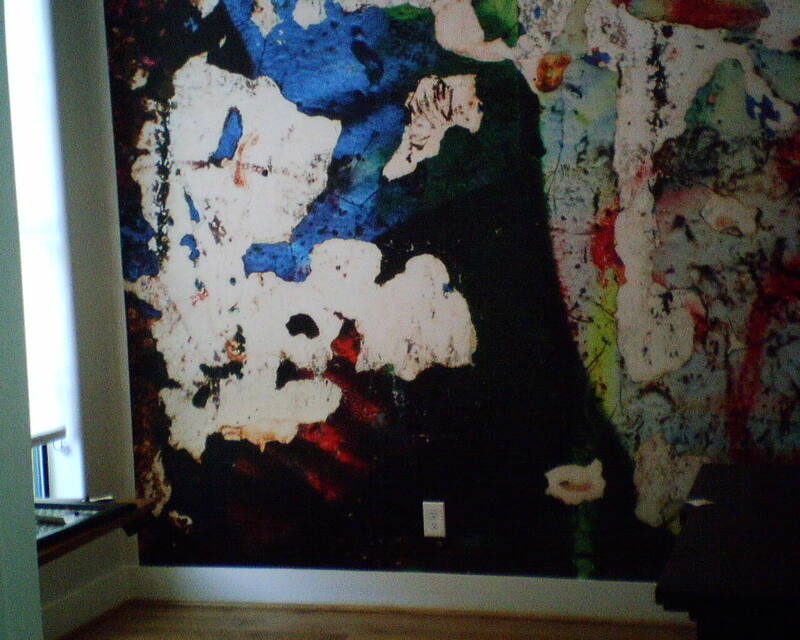 Ordering a whole new mural would be expensive, for replicating materials and labor. So we opted to hang the mural in the center of the wall, splitting the difference and leaving 2 1/2″ of uncovered wall on either side of the mural. I suggested the homeowner have her carpenter apply molding around the edges, to look like a picture frame or window casing, and she liked that idea. 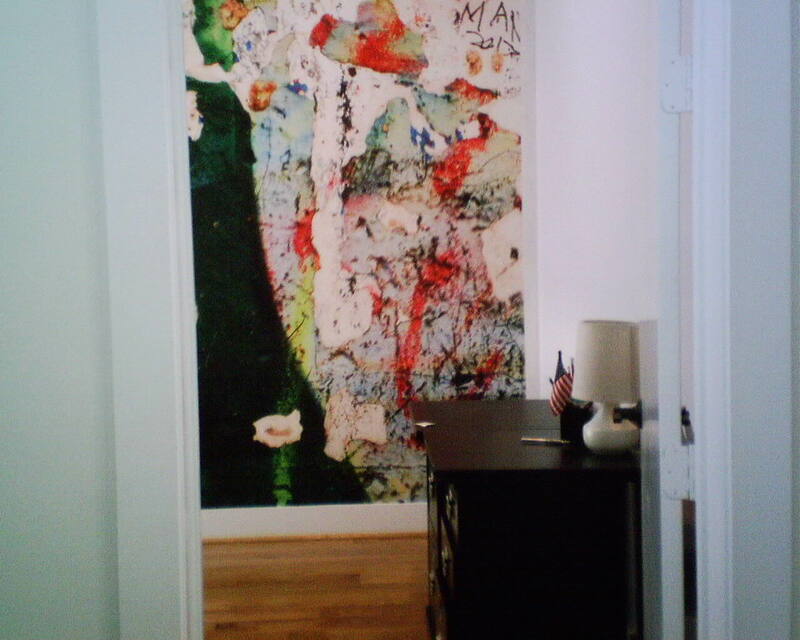 This mural was digitally printed, and came on a non-woven substrate, and was a paste-the-wall product. It was very difficult to get this stiff, plasticy material to wrap around the rounded, bull-nosed edges of the window, and I had to do some tricks with this mercifully forgiving pattern, to get the four corners to look good. 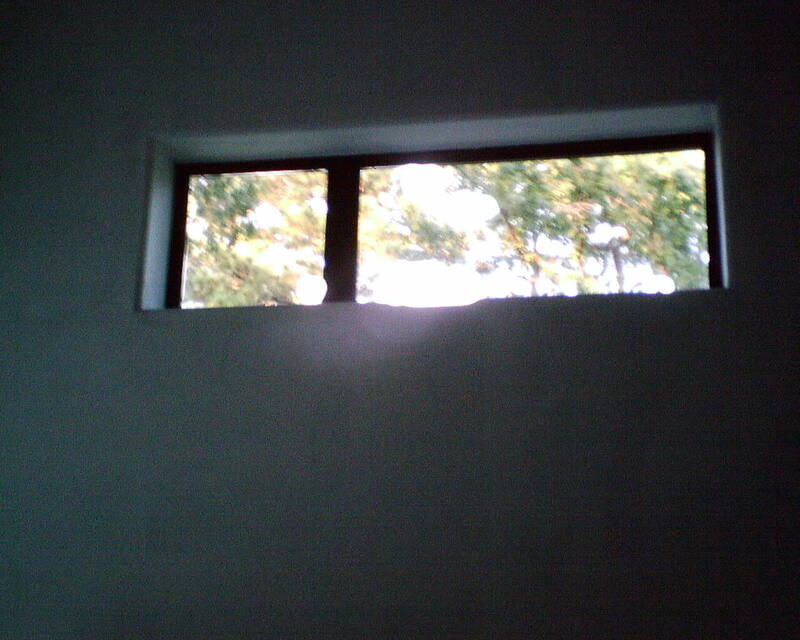 I won’t go into all the details, but, bottom line, the window, and the room, look fantastic! What a dream of a room, for a sweet little girl! This is a typical tract home in the Katy suburb of Houston, but it has been kicked up a notch in the daughter’s room. The board and batten paneling was added recently, and reaches up to the 7′ height of the doors. This high paneling is a very rich and elegant look. The 2′ high wall space above that had texture typical of the new suburban homes in that area, which I smoothed out before hanging the wallpaper (see other post). One wall of the room angles inward (see other post). 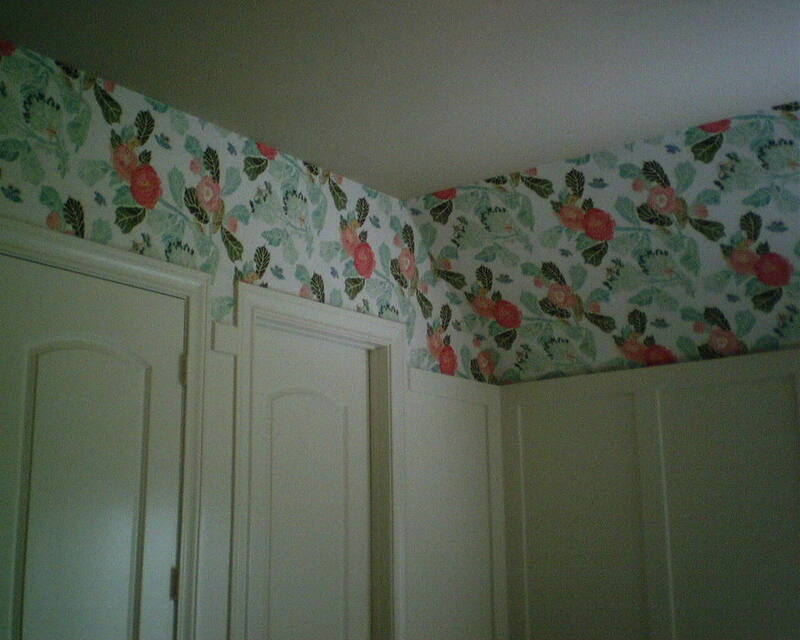 The wallpaper pattern is called “Watercolor Peony” and is by Anthropologie. It looks like real watercolor, and the hues are bright and glowing. I wish I had taken a close up of it. It’s just perfect with the white metal bed, and pink bedding, and other furnishings in this little girl’s room. Which Do You Prefer … ?? 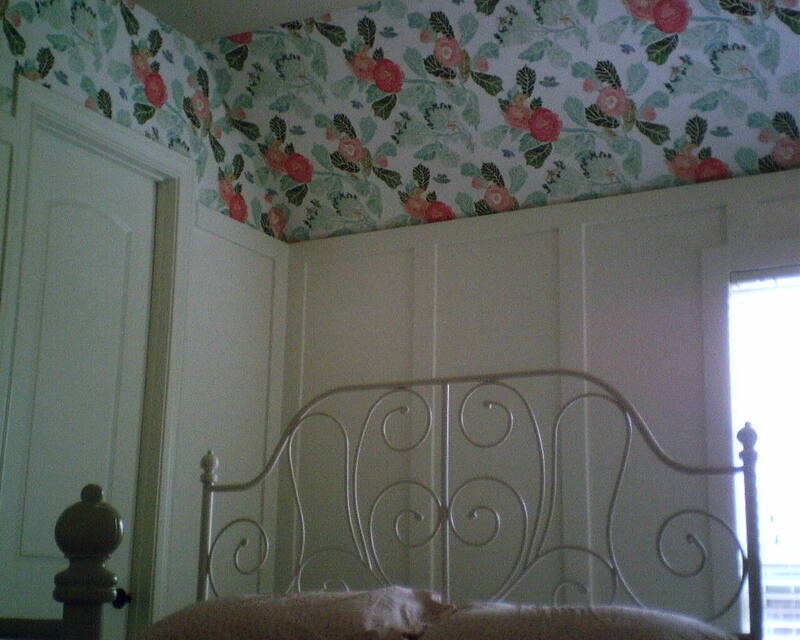 Which do you prefer – paint on the ceiling, or wallpaper on the ceiling? 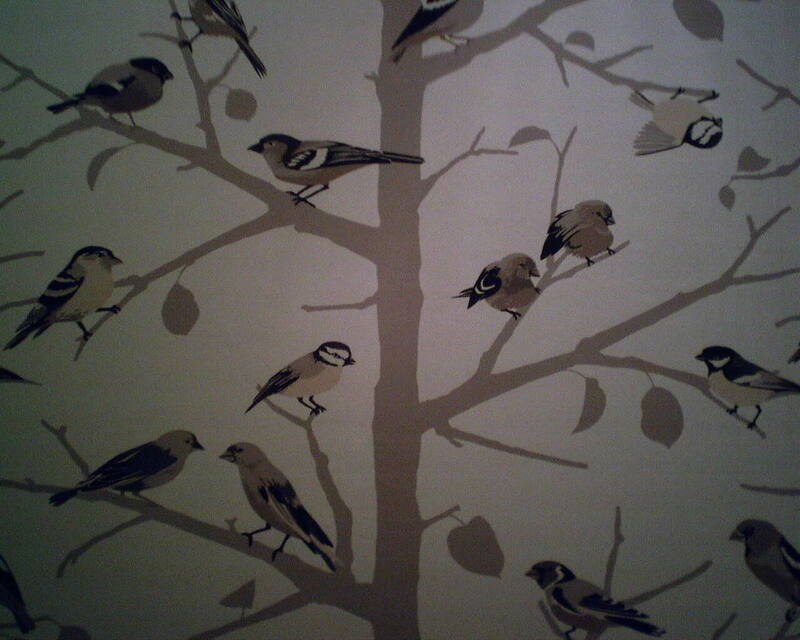 Me, I’m not a fan of wallpaper on ceilings, especially when it’s dark, or busy, or in an enclosed space. I think it makes the ceiling feel low and closed-in. 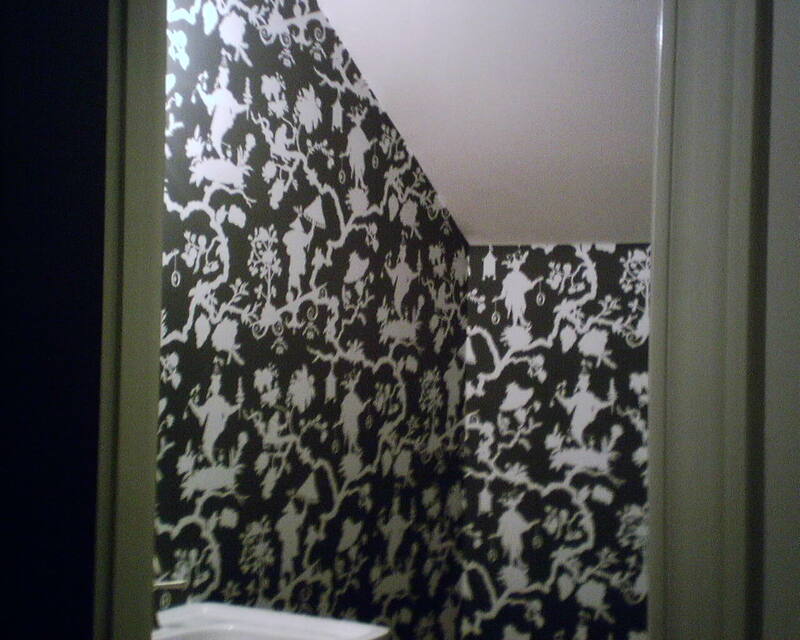 Yet, all those adjectives apply to this powder room, and once the paper went up, I have to admit, it looks pretty darned good! This particular room has a sloped ceiling, due to its location under the stairs in this new home in the Museum District of Houston. With sloped ceilings, it’s 50-50 … Do you paper the slope or not? 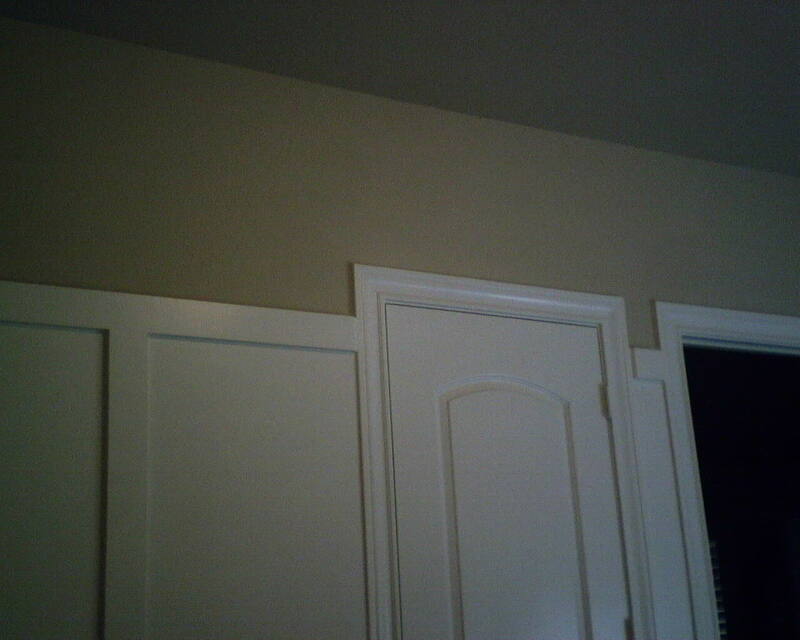 Is the slope part of the wall, or part of the ceiling? It’s a judgment call. 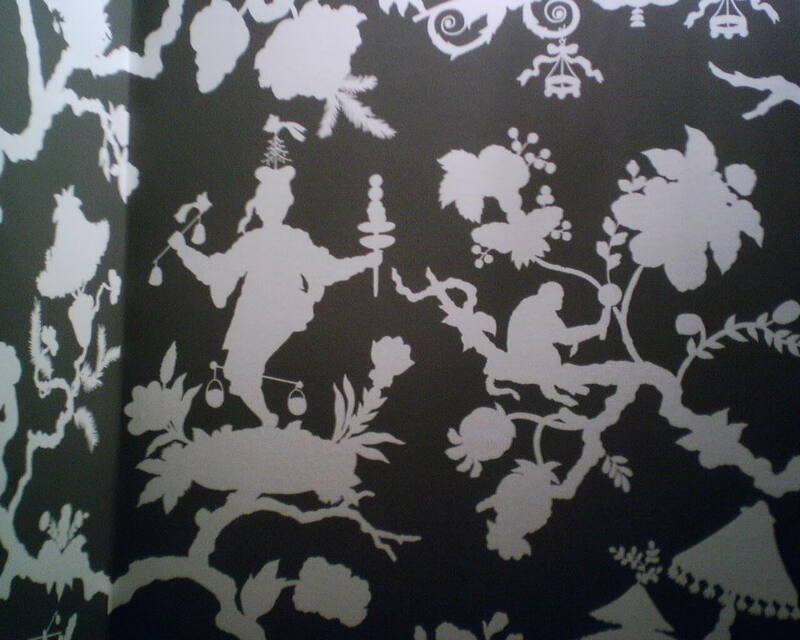 This wallpaper pattern is called “Shantung Silhouette,” by Schumacher, and was bought at a discounted price from Dorota Hartwig at Southwestern Paint on Bissonnet near Kirby. (713) 520-6262 or dorotasouthwestern@hotmail.com. Discuss your project and make an appointment before heading over to see her. 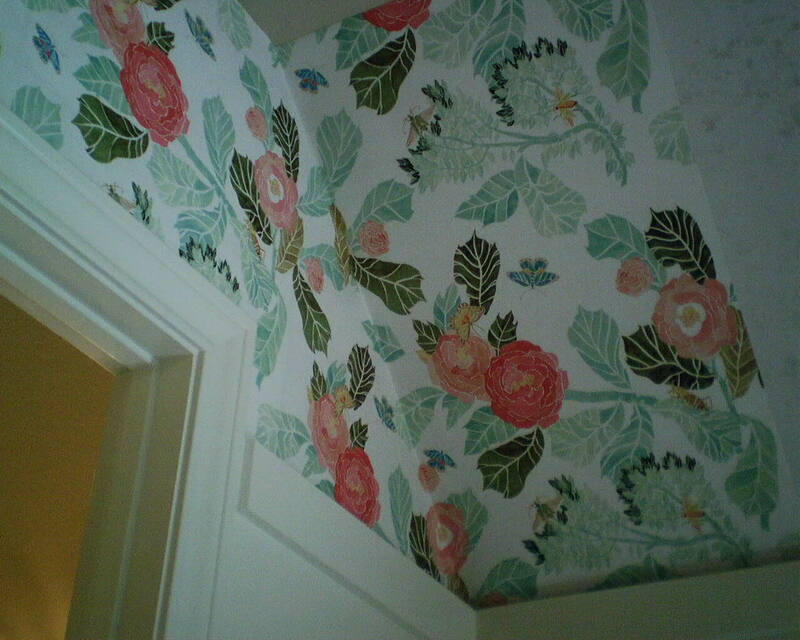 Today, I papered the walls and ceiling of an under-the-stairs powder room in a new home in the Museum District of Houston. Shantung Silhouette is a beautifully pattern. 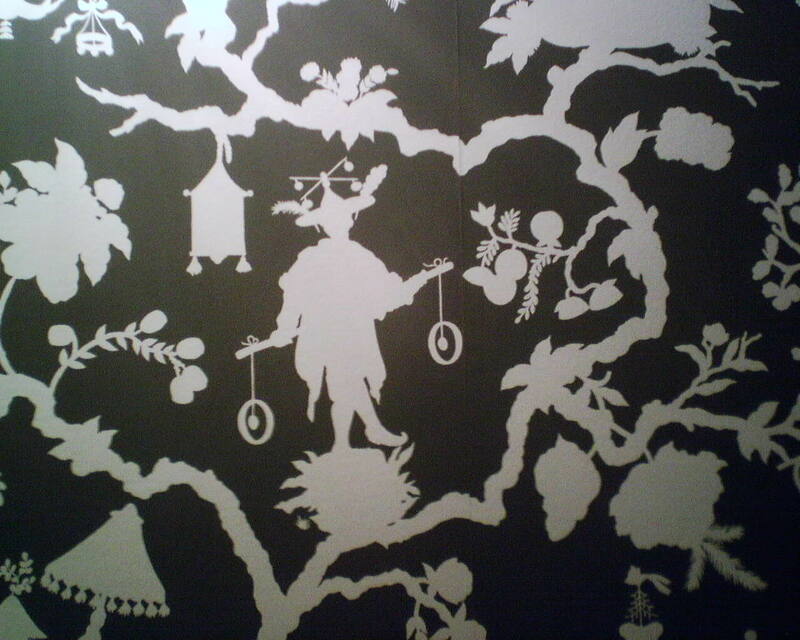 It is printed on a non-woven substrate, which many wallpaper companies are moving toward. Unfortunately, Schumacher, the manufacturer, chose what has to be the worst possible option for it’s non-woven substrate. It was extremely thick and stiff, and was a painn to work with, and which made it difficult to press against the ceiling or woodwork which made it hard to get a tight cut. It is unmalleable and could not be maneuvered into position. 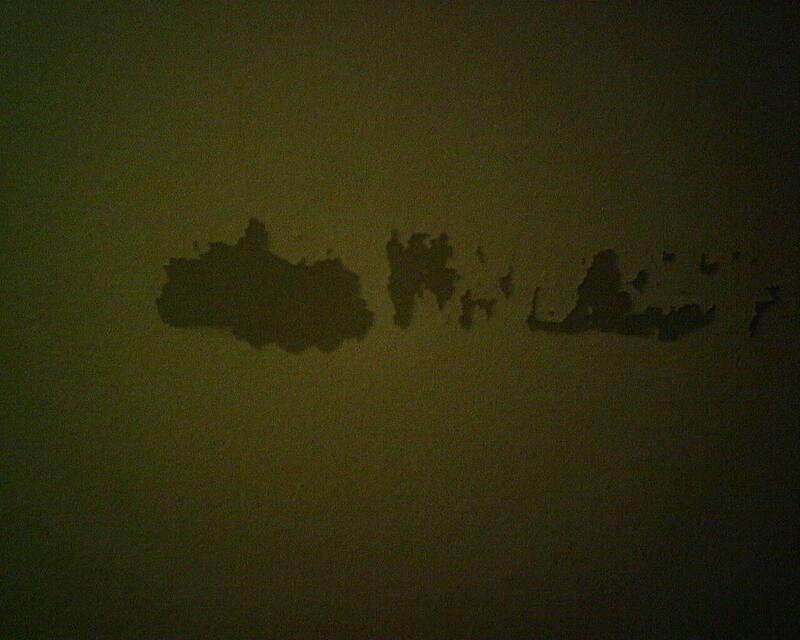 It dried out too fast, which left insufficient paste at the seams to hold the paper to the wall. 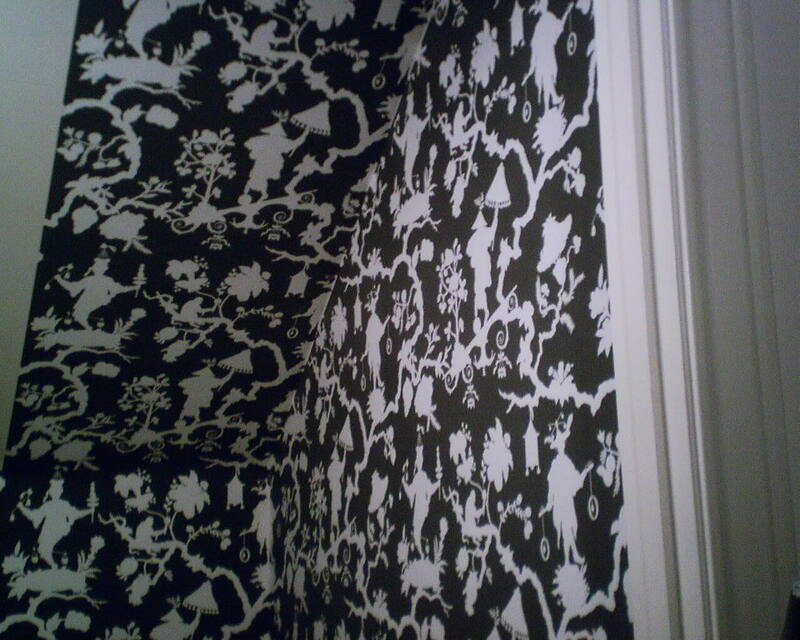 It expanded (stretched horizontally on the wall), which non-wovens are not supposed to do, which caused pattern distortion in corners. 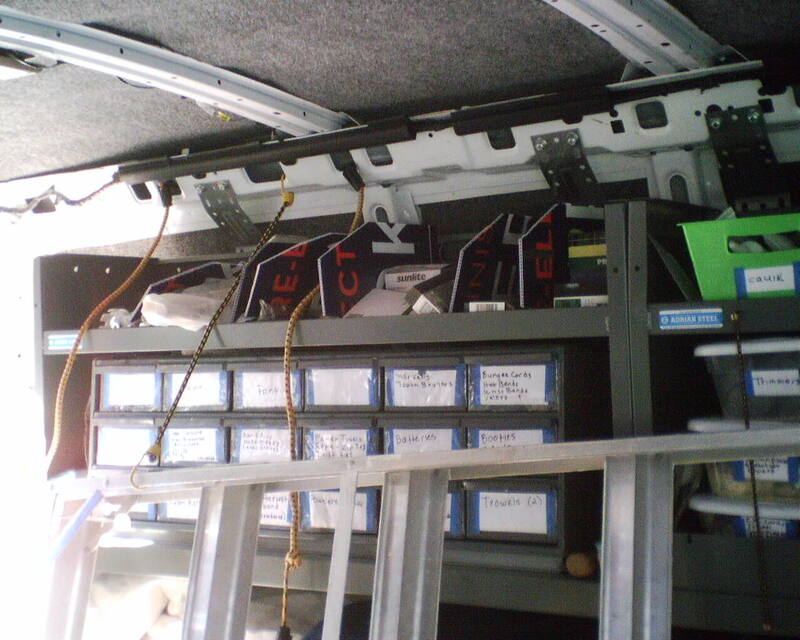 And all the seams wired at points (“pouched,” or puckered – simply did not lie down flat). Oh, and let’s not forget the typical problems with Schumacher, which are printing defects. 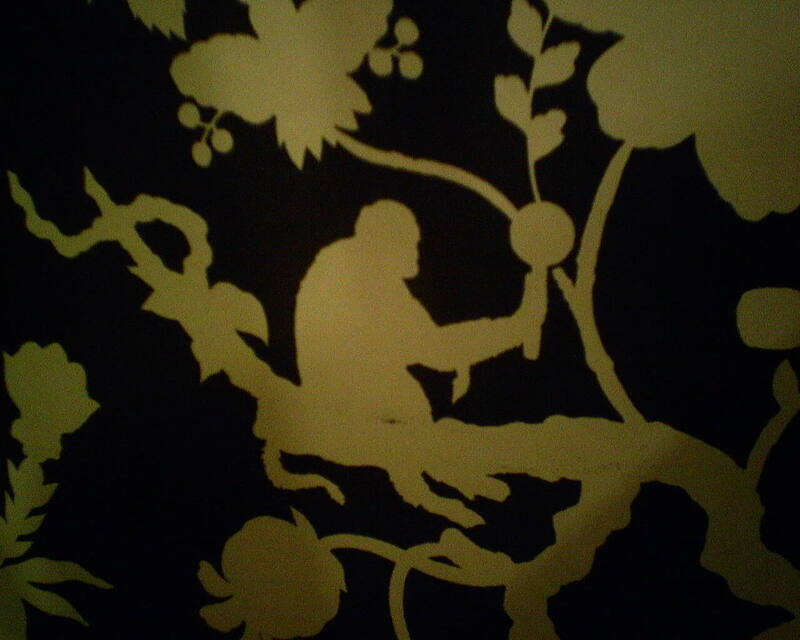 Today, I had smudges on many of the monkeys (see photo). There were also hairs’ breadth areas on the edges of the paper that did not have ink. With a white paper, this would not be all that big of a deal, but with charcoal grey paper, you do definitely notice the areas void of dark ink. 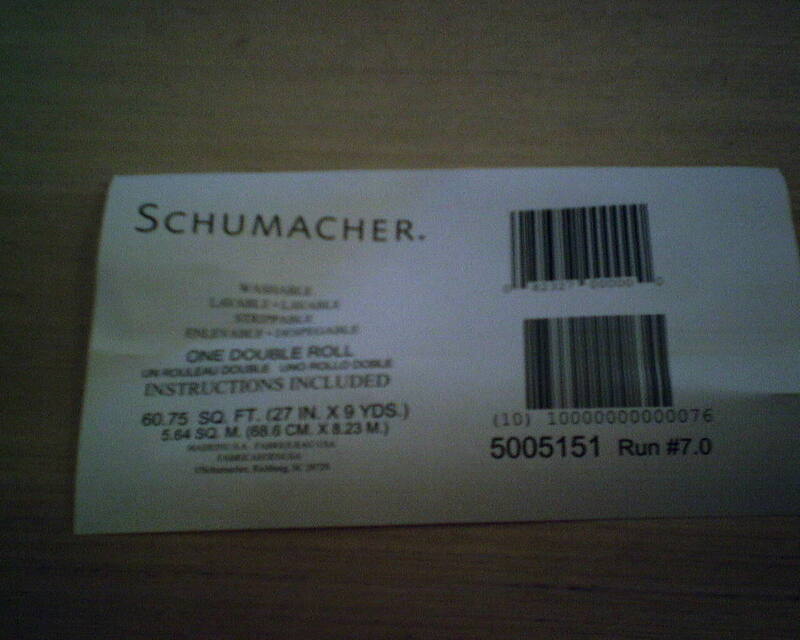 Schumacher used to be a name that meant high-end and high quality. No more. 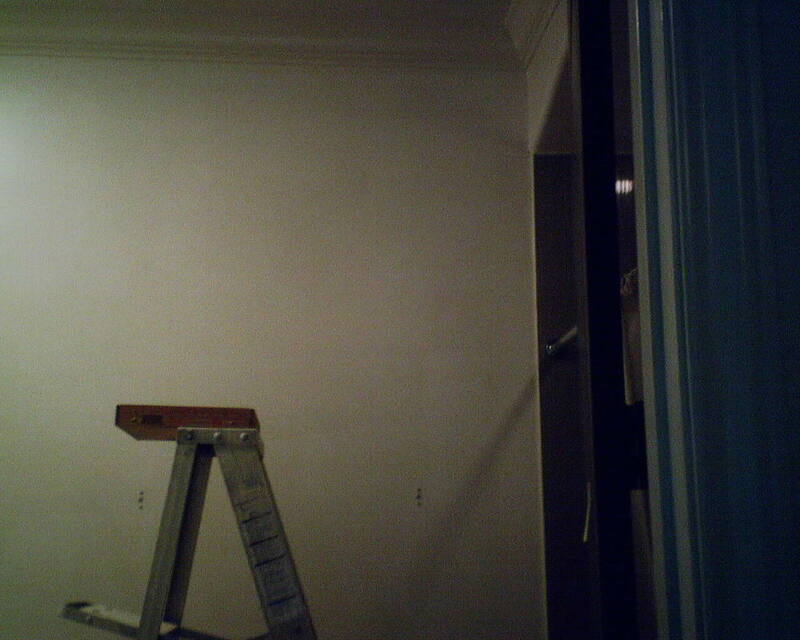 Here I am working around a door and on to the left, and ending at a bank of cabinets. There is a seam smack down the middle of that 10″ wide space. I preferred to not have a seam there because 1.) the fewer seams, the less chance of curling or loosening, 2.) 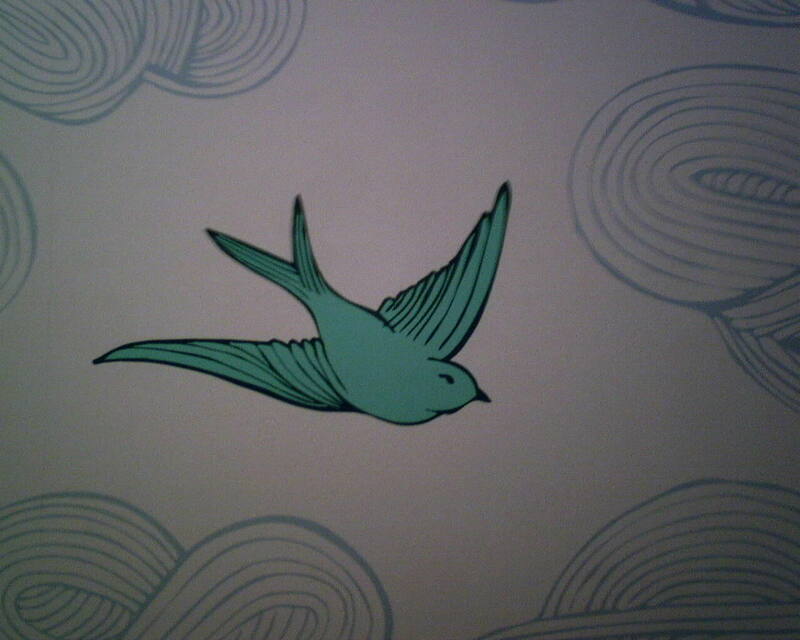 it was an awkward spot and two narrow strips of paper are difficult to work with and keep straight, 3.) one strip goes faster than two. So I found a place on the pattern where I could cut along a tree branch and splice it in at the top of the door molding. 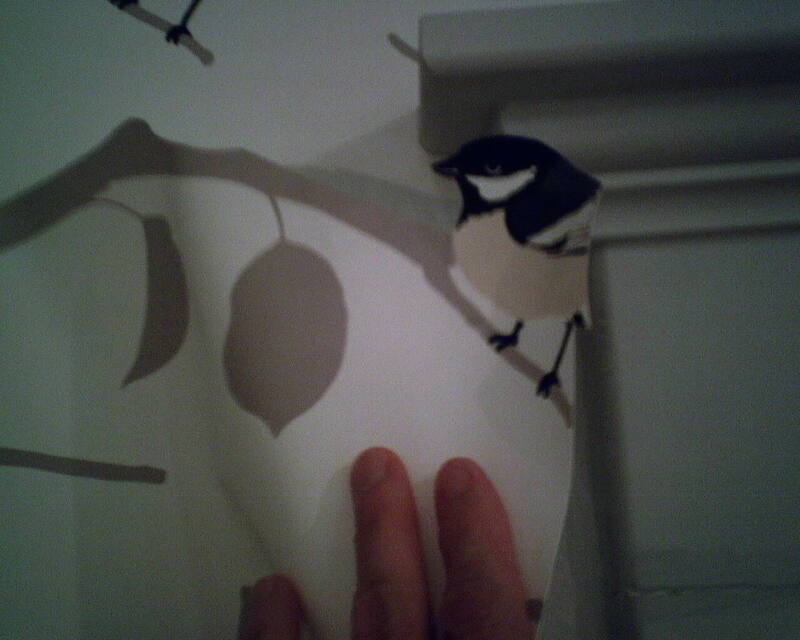 I made sure that the branch was pointing in the same direction as the other branches over the door, and I plotted to get as many whole birds in that 10″ space as possible. Dang me – I forgot to take a picture of it when it was finished. But trust me, it looked great, you could not detect that the pattern was slightly off, and there are no seams distract the eye or worry about peeling up. 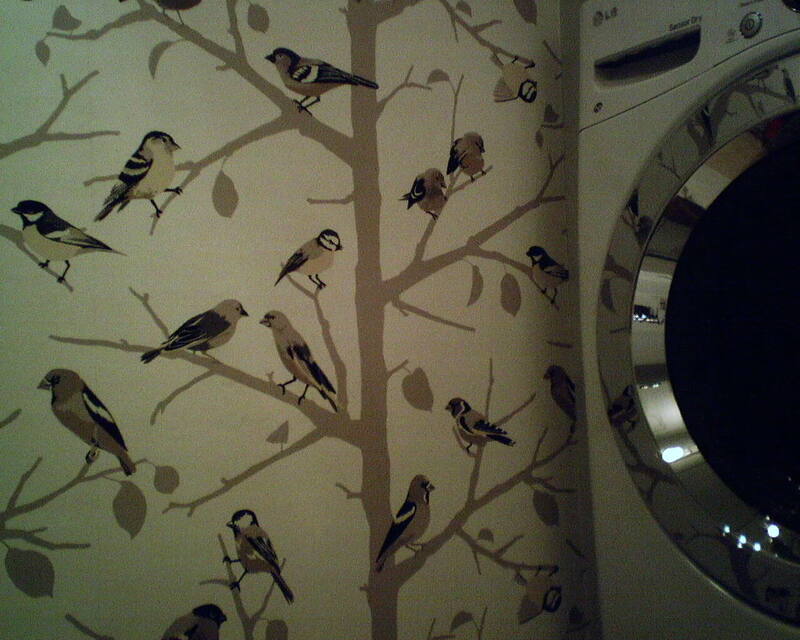 The wallpaper pattern is called “A Twitter,” by Schumacher. It’s a lucky laundress who gets to work in this utility room! 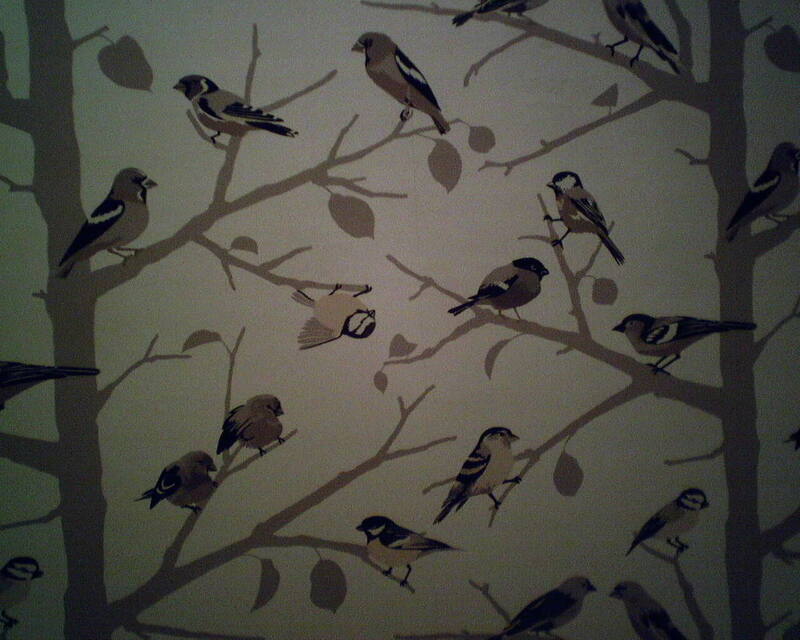 This wallpaper pattern is named “A Twitter,” and it is quite popular – this is my second time to hang it this year! This color way is called “Winter,” and it’s all greys and taupes and blacks. It goes beautifully with the putty colored cabinetry in this room. 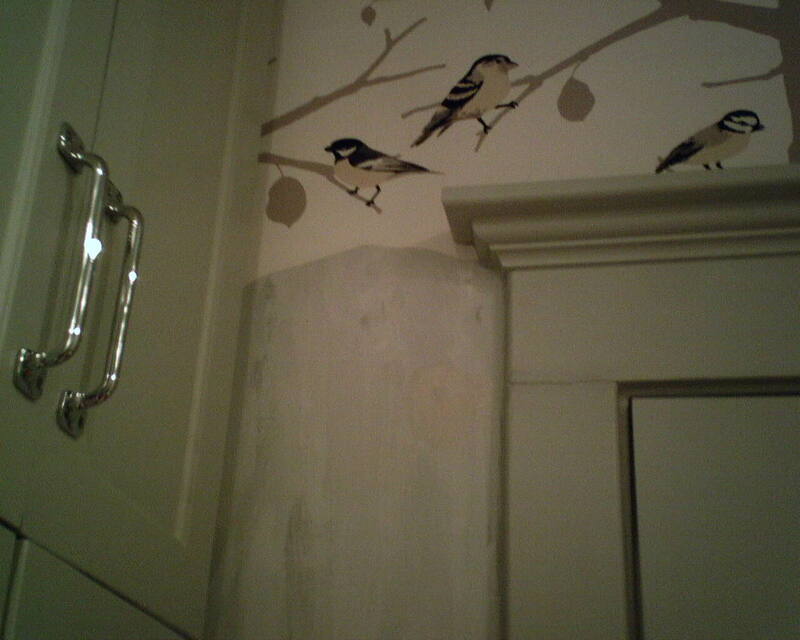 The homeowners are going to add flat black door knobs and handles, which will play off the black in the chickadees and really set the room off! With a paper-backed vinyl paper, you might worry about humidity causing the seams to curl. 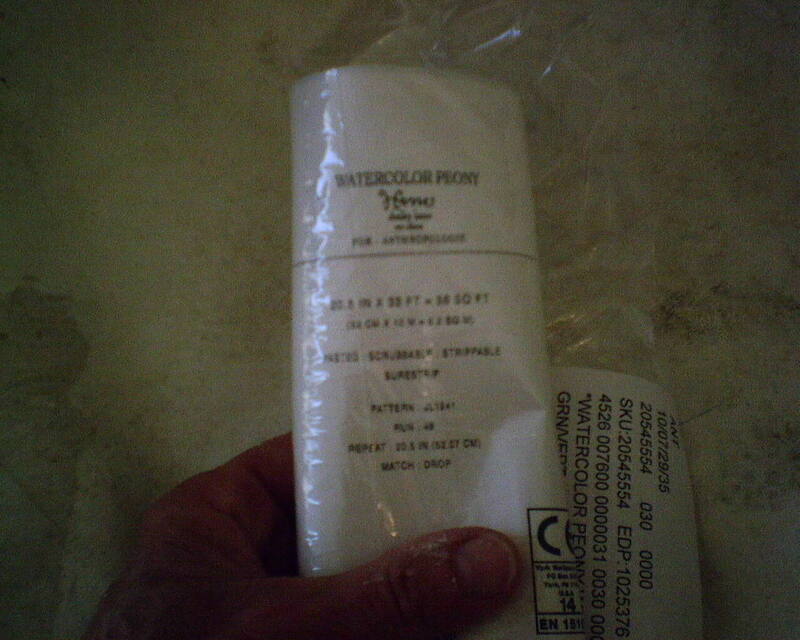 But this product is made of paper, not vinyl, and is much more resistant to humid conditions. I hung this in the Montrose neighborhood of Houston, in a wonderfully rehabbed older home. Think This Wall is Crooked? 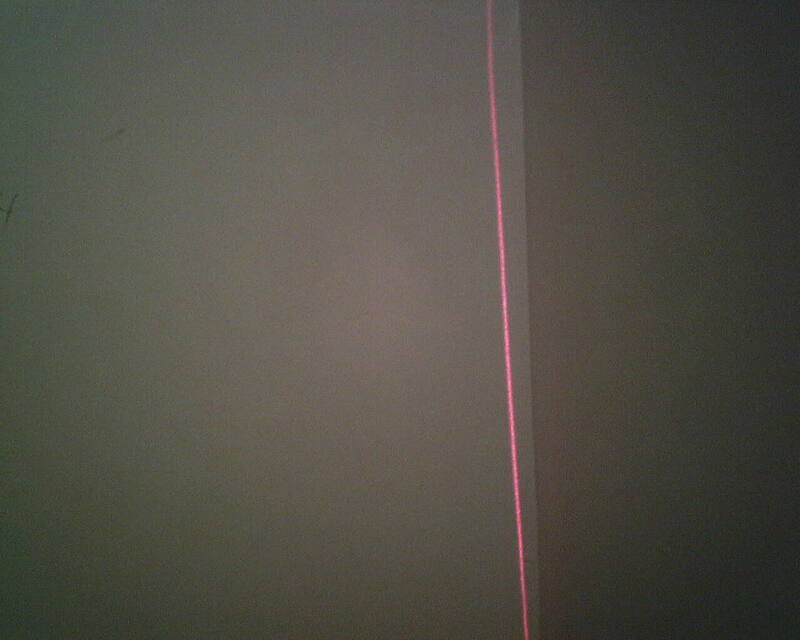 The red line is from my laser level, and it is plumb. The line you see to the right of that is the corner where two walls meet in the powder room where I am hanging wallpaper today. The wall is off-plumb by more than 1 1/2″ in less than a 6′ drop from ceiling to floor. 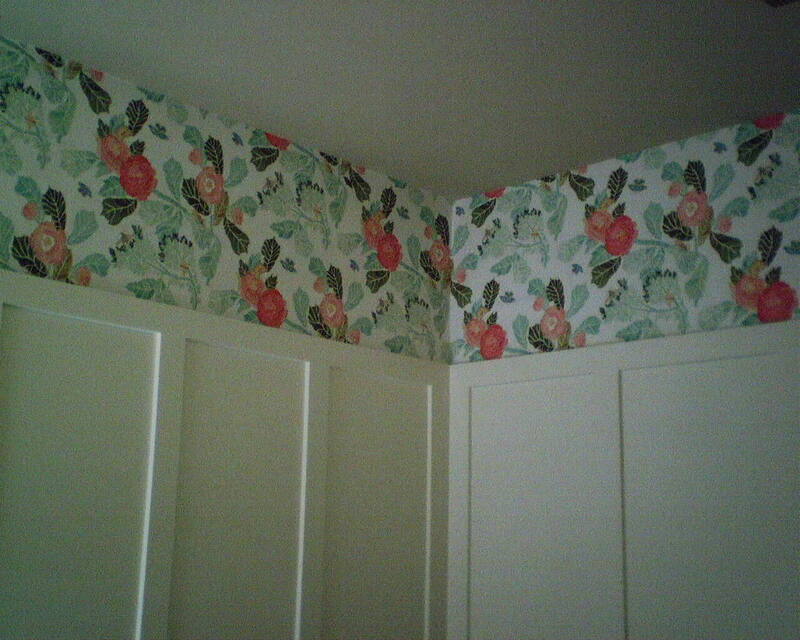 Needless to say, the pattern match will be a little off in that corner! 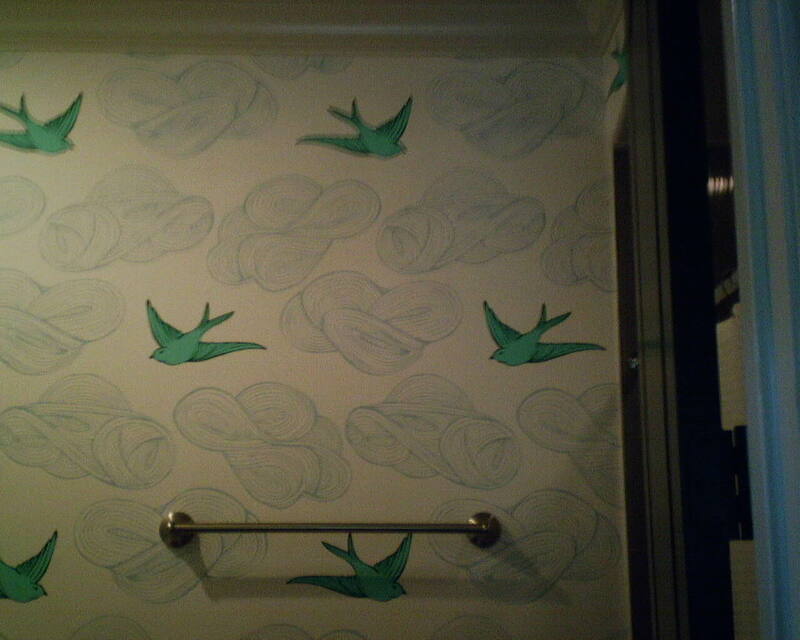 What a cheery bathroom, for a coming-tomorrow baby girl! This pattern is called “Daydream,” and is by Hygge & West, and can be bought on line. The home is in the Museum District near downtown Houston. I am working this week in an expensive new home in the Museum District of Houston. The whole house was built with Green Board, which is supposed to be more resistant to water and moisture than the traditional grey drywall. It was then painted with one, or maybe two, coats of builder’s flat – which is an industry code word for pretty cheap paint, not to mention that no primer was used. 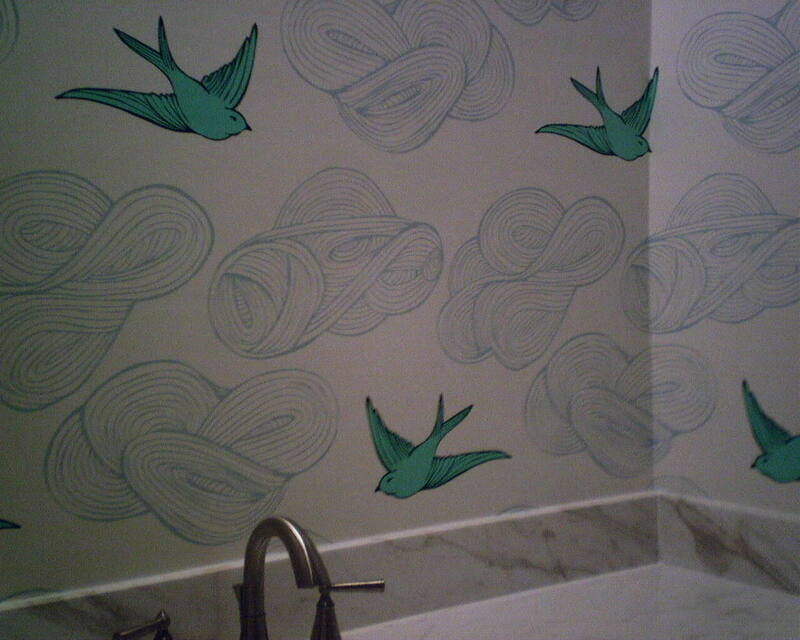 The homeowner used blue painter’s tape to post wallpaper samples. 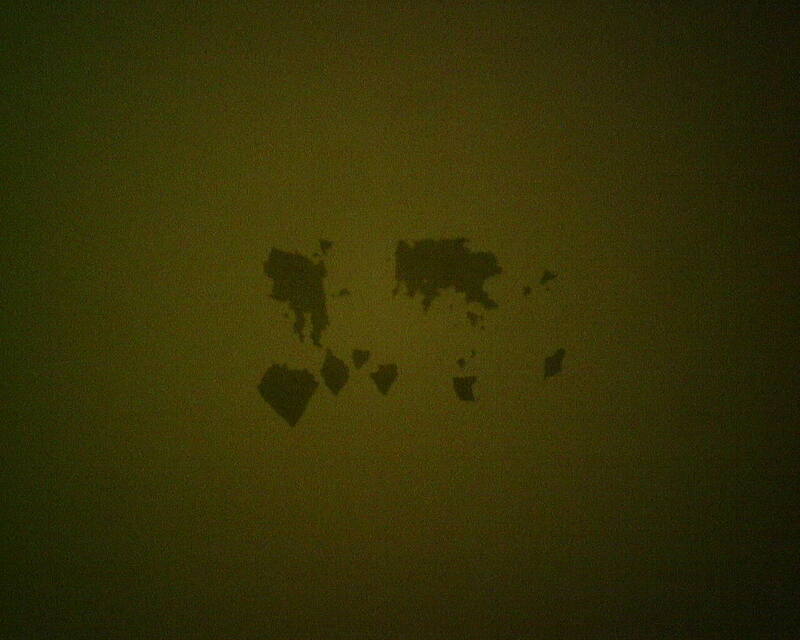 Well, when the samples and tape were removed, look at how the paint came right away with it! 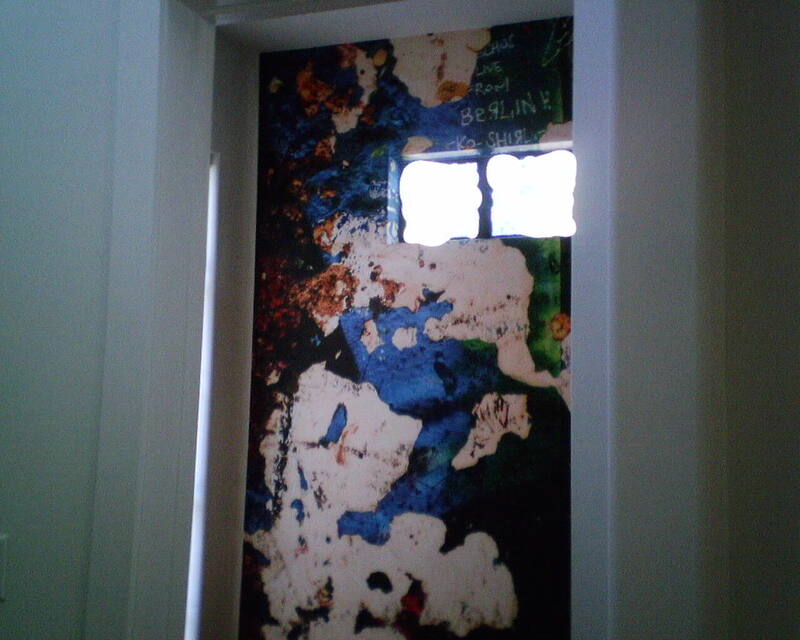 The problem for me is that I fear the surface may be unstable, and once the wallpaper is up, as the paper dries, it shrinks and puts tension (“torque”) on the surface below, and if the surface is unstable, it could cause the paint to lift away from the walls at the point of torque, which means all along the seams. 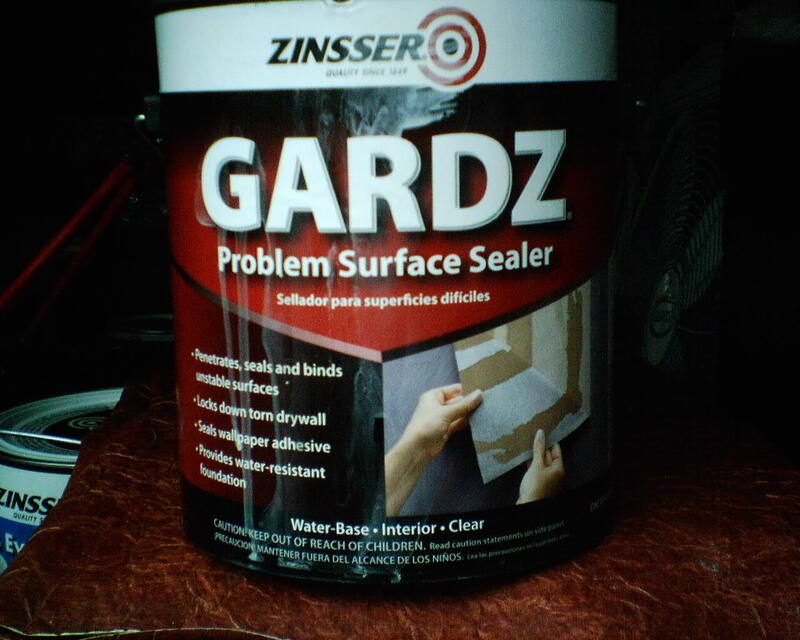 To try to prevent this by stabilizing the surface, instead of my usual wallpaper primer, I am priming the walls with two coats of Gardz, made by Zinsser. Gardz is cool stuff. It is thin and watery and takes some getting used to while applying it, because it wants to run and drip and slop all over the place. But that thinness is what is so good about it – it is designed to soak into porous surfaces, and then it dries quite hard and actually binds things together, and also is pretty impenetrable to water. 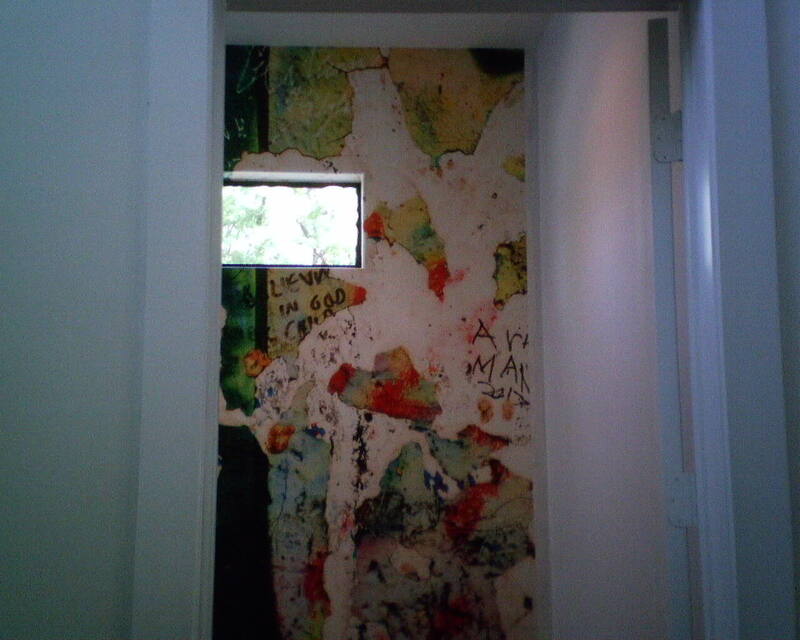 What I am hoping is that it will soak through the flat paint and bind it to the Green Board below, while at the same time creating a hard, intact surface for the wallpaper to adhere to. Because water can’t pass through it, I shouldn’t have to worry about moisture from the paste causing any swelling or reactivating of the paint or Green Board. Another benefit of Gardz is that it does all this while still being water-based, so it’s easy to clean up once you’re finished. You are currently browsing the Wallpaperlady's Blog blog archives for October, 2015.